Holly Week celebrations is a big deal in our country, this year it begans on March 27th Holy Monday. Massive processions, as well as a period of summer vacations during which diversion and relaxation form the main priorities. During Holy Week, or Semana Santa in Spanish, Catholics commemorate the death and resurrection of Jesus. 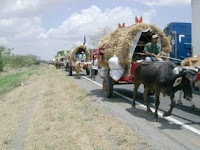 Pilgrim Carts: The long line of carts travels four days to reach its destination: the Popoyupa sanctuary, located in San Jorge, Rivas. The reason is to show thankfulness and faith to the image of Nuestro Señor del Rescate de Popoyuapa, whom they acknowledge for previous miracles that happened in their live. This tradition is has over 100 years old. 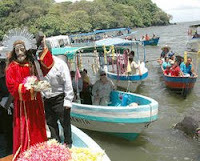 Stations of the Cross at the islets: In this tradition devoted nicaraguan travel over water in small canoes to accompany the statue of Jesus along its way. 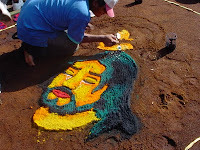 Sawdust carpets: This unique form of art create a colorful images inspired by biblical passages on the street , using sawdust and other materials. Every year, many people participate in this old tradition. This tradition has become so well-known that the street of this neighborhood has been called ‘Carpet Street’ (la calle de las alfombras). Holy week for the mayor part of nicaraguan also mean TIME TO HIT THE BEACH, and because our contry has many beatiful beaches you can choose from a crowed beach to realy quiet and peacefull beaches. Located on the pacific coast you can visit San Juan del Sur, Poneloya, Casares, Huehuete, Pochomil, Jiquilillo, etc. 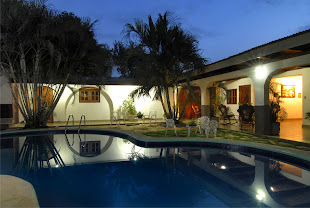 So if you are planning on visit us on this holidays be sure you will find a lot to do in just one week, we hope you consider HOTEL MOZONTE as your host in Managua. Publicado por HOTEL MOZONTE en 8:31 a. m.